For the Morton Square residence, a drop leaf dining table with a 250-year-old slab of American Black Walnut is seamed down the center with custom-designed hinges. When one half is folded down, it becomes a side table with intersecting planes of sculptural and geometric lines. Two blackened steel support panels, each with a tree cut-out, fold onto themselves when the leaf is down. 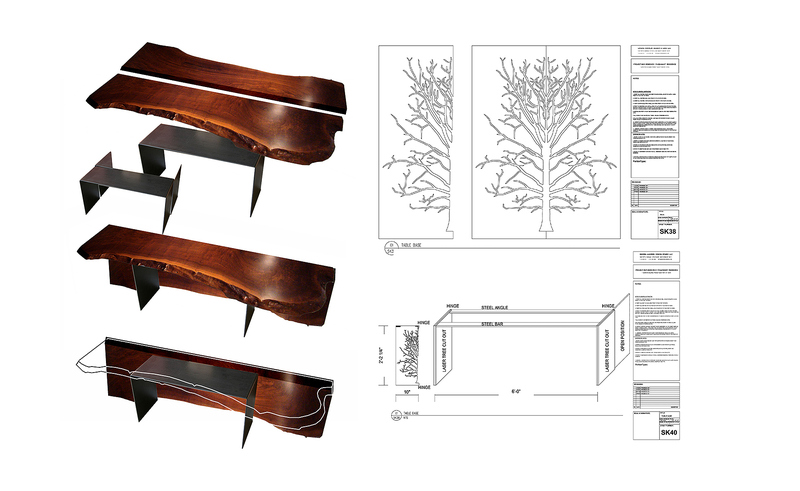 The two trees, representing solidity and stability, create a symbolic and structural corollary to the table’s material, form and function.